The Health and Human Services secretary is leaving after five years of battling over health care. WASHINGTON — Health and Human Services Secretary Kathleen Sebelius is resigning after the rocky rollout of President Obama’s signature health care law, a White House official said Thursday. Her resignation comes just over a week after the end of the first enrollment period for the health care law. While the opening weeks of the rollout were marred by website woes, the administration rebounded strongly by enrolling more than 7 million people in the new insurance marketplaces. Sebelius’ resignation following her five-year tenure in Obama’s Cabinet comes as the White House seeks to rebound from the politically damaging launch of the health care law. But it could also set the stage for a contentious election-year confirmation hearing to replace her, as Republicans seek to make the health law the centerpiece of their efforts to retake the Senate in the November midterm contests. In a sign that the White House is seeking to avoid a nomination fight, the official said the president was tapping Sylvia Mathews Burwell, the director of the Office of Management and Budget, to replace Sebelius. Burwell was unanimously confirmed by the Senate for current post. Sebelius, the former governor of Kansas, has been one of Obama’s longest-serving Cabinet officials. She was instrumental in shepherding the health care law through Congress in 2010 and implementing its initial components, including a popular provision that allow young people to stay on their parents insurance plans until age 26. But Sebelius’ relationship with the White House frayed during last fall’s rollout of the insurance exchanges that are at the center of the sweeping overhaul. The president and his top advisers said they were frustrated by what they considered to be a lack of information from HHS over the extent of the website troubles. In the months before the exchanges opened, Sebelius assured lawmakers and the public that new health insurance markets would open on time in all 50 states. After technical problems crippled online sign-ups after the Oct. 1 launch, the White House sent management expert and longtime Obama adviser Jeffrey Zients to oversee a rescue operation that turned things around by the end of November. 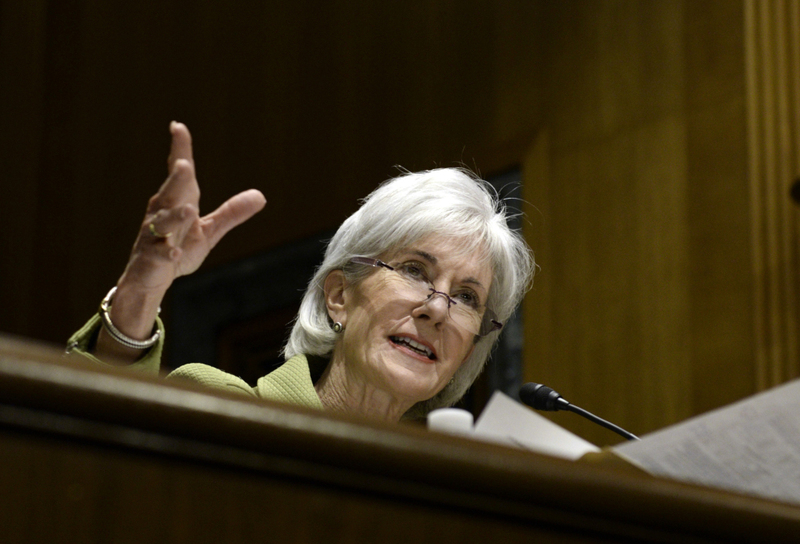 Sebelius dropped no hints about her resignation Thursday when she testified at a budget hearing.